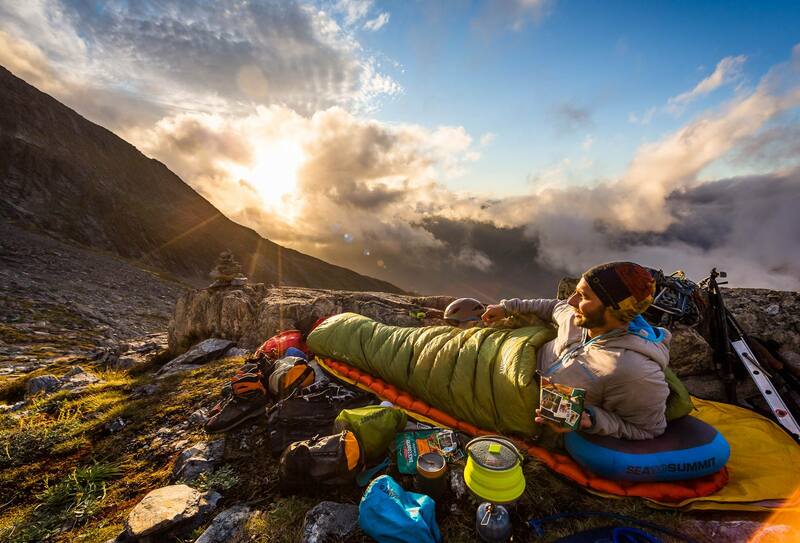 How do you climb some of the biggest mountains in the world? Simple, you start on smaller ones. If you have your eyes set on the likes of Everest, Denali, or even Mont Blanc, there are plenty of breathtaking beginner mountains you can start climbing in the next few months (with proper training and skill acquisition), that will help you prepare for larger summits. Mountaineering is a general term that refers to climbing big mountains in snowy and icy conditions. 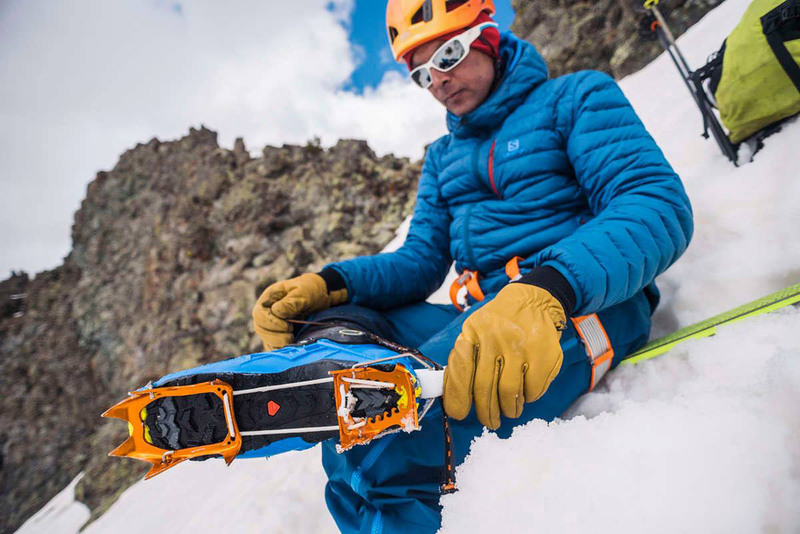 This style requires knowledge of movement on snow and ice, and tends to follow standard routes with less technical climbing, at least for beginners. At high altitudes, weather and environmental conditions are harsher than at lower ranges (for example, 80mph winds, whiteout conditions, and rock fall), which makes this a more challenging endeavor than hiking. 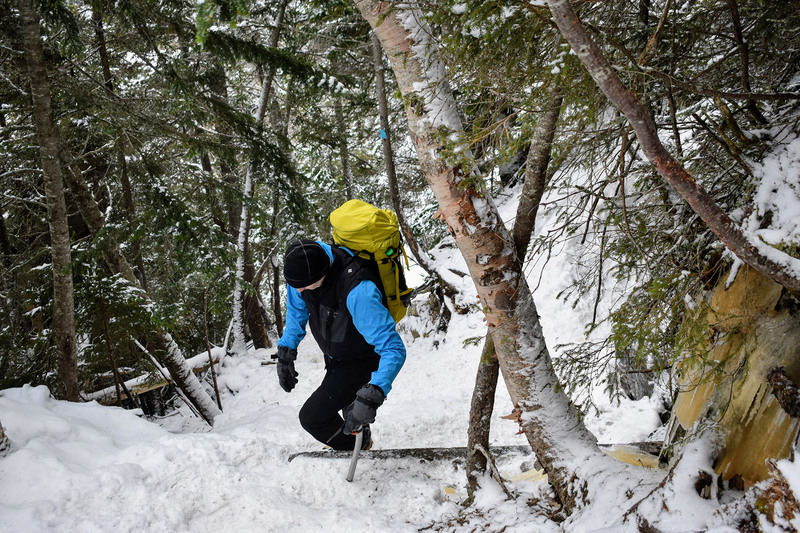 Winter hiking and backpacking are great ways to develop mountaineering techniques at lower elevations with less hazards. 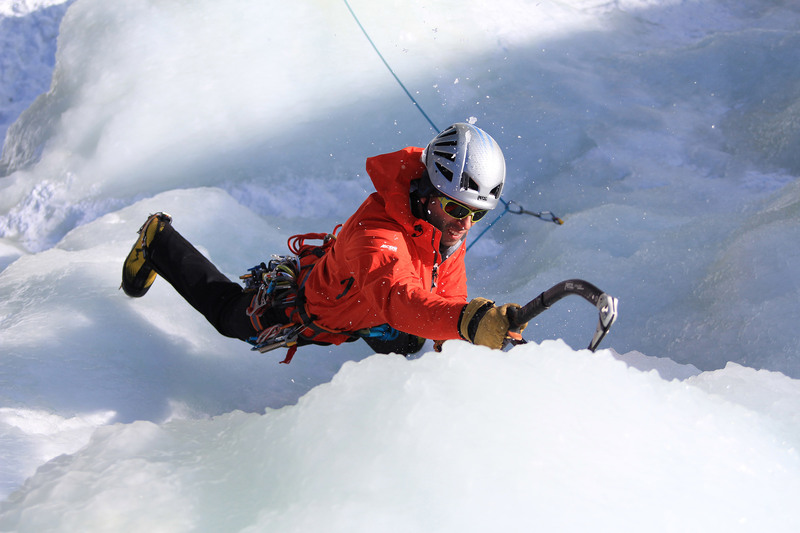 Mountaineers should have experience and the skills related to glacier travel, traveling on a rope team, use of an ice axe for self-arrest and self-belay, crampon technique, anchor building on rock, snow and ice, hazard recognition (crevasses, rockfall, serac fall, etc. 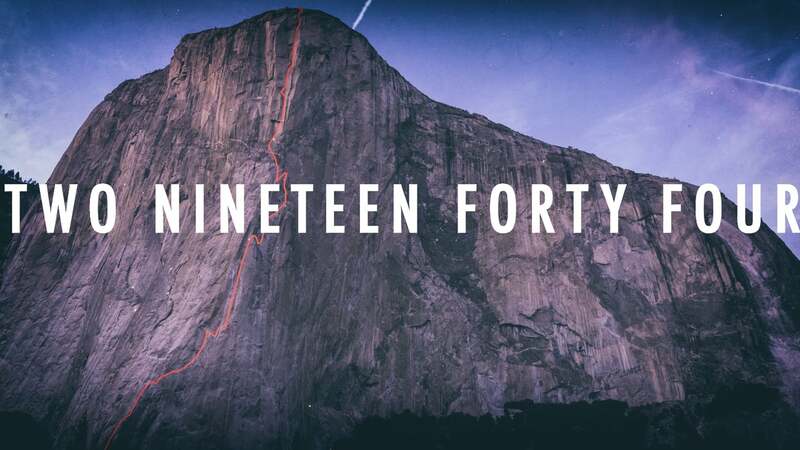 ), traditional rock climbing, knowledge of climber’s knots, crevasse rescue, route finding, wilderness first aid, and much more. The breadth of skills needs to be paired with requisite gear and knowledge of best practices for equipment usage. Given the broad and deep skill base, it is prudent to gradually develop your techniques and attempt increasingly more challenging climbs over time. It is much safer to refine your abilities in lower risk environments than to find yourself in a high-exposure situation lacking (or missing) the proper tools and knowledge. 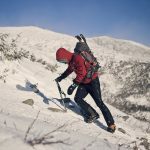 Beginner mountaineering routes will incorporate fundamental techniques on easier terrain in the spring and summer months. For these objectives, they will take less than a day to summit and stick to Class 3 climbing and below. Generally, they will require snowshoes, crampons and an ice axe, but not roping up. 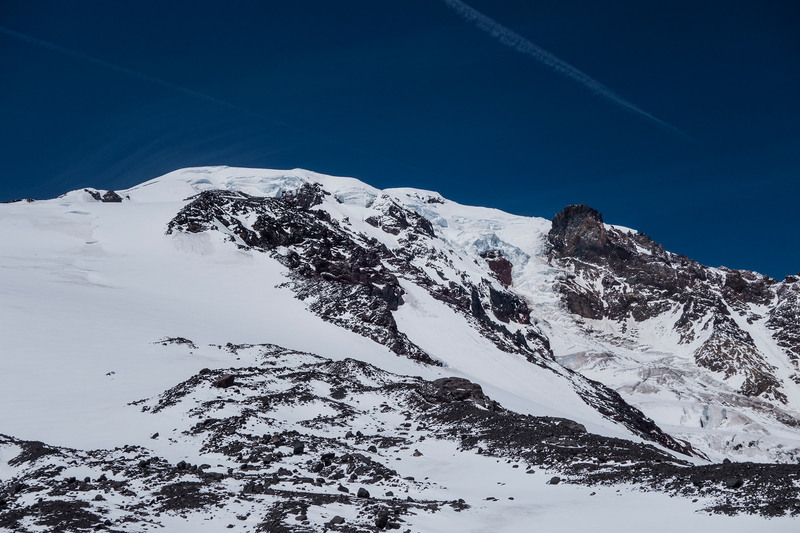 The spring and summer are high season for mountaineering in the larger mountains in the U.S., including Mount Rainier, Mount Baker, and Mount Hood. These months generally run from April through September. Compared to winter, you have longer days but also a higher risk of sunburn or snow blindness. Some routes are best attempted earlier in the season to avoid rock fall. Winter ascents are a serious advance in difficulty due to harsher and more tempestuous weather conditions. The climate at higher elevations is much different than the forecast at the base, and weather can change drastically in the mountains. Your best bet is to wait for a good weather window, and to pay attention to the dynamic conditions. As a rule of thumb, storms come from the south in winter and north in summer. 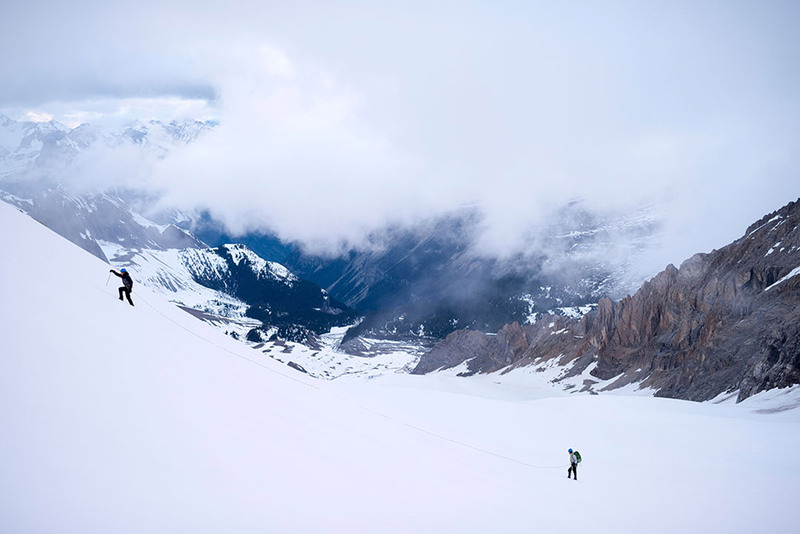 Climbers often leave early in the morning (before sunrise) in order to be on the snow and ice before the sun starts to warm things up, increasing chances of rock and icefall. The body requires time at a higher altitude to adapt to the lower levels of oxygen. A variety of maladies can occur at these heights, including Acute Mountain Sickness (AMS), High Altitude Cerebral Edema, and Pulmonary Edema. These can be lethal. Not everybody is adapted for life in the mountains, so you want to progress gradually and pay attention to how you are responding. Generally, teams ascend to higher elevations during the day, then descend for rest at a lower camp, in preparation of a summit push. Now let’s put it all together and consider some beginner mountaineering routes. Let’s emphasize again, these should only be attempted after proper physical training, skill practice, and preparation. Mount Shasta’s Clear Creek is the standard route on the southeast face. The route is about 5 miles and 7,600 feet of elevation one way, with some Class 2 climbing through a boulder field. Note that the trail is inaccessible in winter and early spring, though snow will still cover parts of the mountain through the summer. The Mountaineer’s Route on Mount Whitney is a class 3 route with steep trail, with about 6,000 feet of elevation gain over 5 miles. Fast parties can summit in 10 hours in the summer, and it’s a good test for your route finding skills. 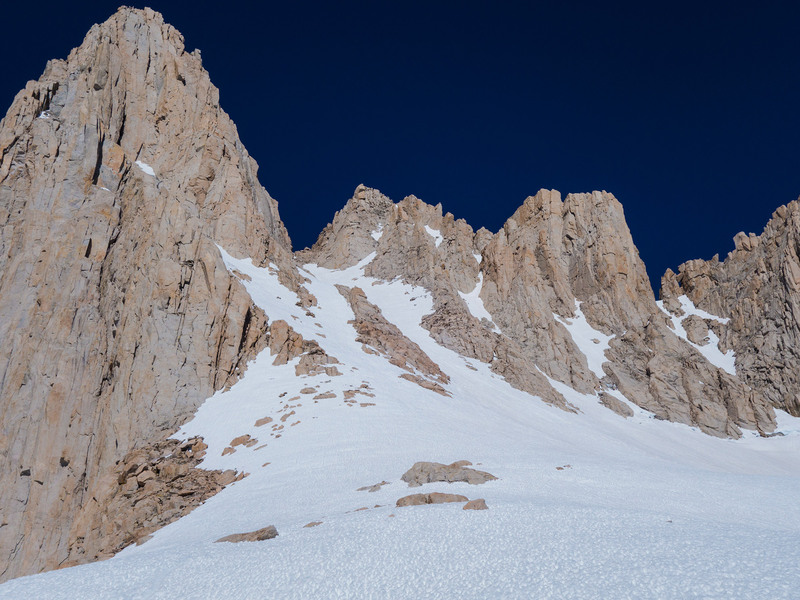 Mount Whitney is the high point of the lower 48 states. South Sister in Oregon via the south side route climbs the third tallest mountain in the state but is class 3 climbing at worst. The path starts from the Green Lakes, and is 12.4 miles round trip, with about 5,000 feet in elevation gain. It also features eight glaciers, so you can practice your snowshoe, ice axe, and crampon technique. Mount Adams’s South Spur Route route offers an easy and popular snow climb in the eastern Cascade range in Washington. It can be done in 1 or 2 days and is known to be thigh-busting, rising 6,676 feet over 5.7 miles, with a max angle of 30 degrees. 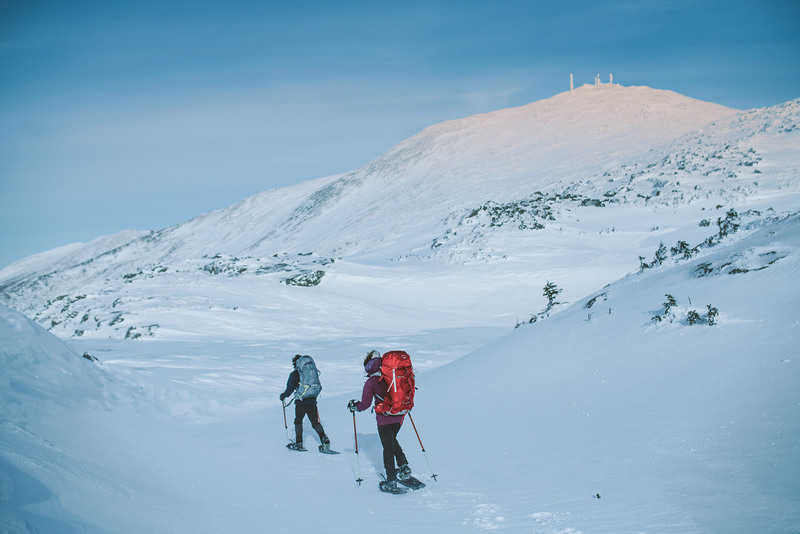 Mount Washington via the Lion Head Winter Route is best known for holding some of the worst weather in the world, which may surprise observers who see only the 6288-foot height of the mountain. This particular route is the least technical way to summit in the winter, but still offers a steep, icy ascent and the potential for very high winds at the top. No matter where you are starting from, you can find an appropriate mountain goal to take you to the next level. Remember: Savor the inspiration that comes with big mountain climbing, be realistic in your progression plan, and research and prepare more than you think is necessary. Aaron Gerry is a freelance writer who spent the last year traveling and climbing through Eastern Europe. He’s a born-and-raised Massachusetts man who’s keen on trail running, hiking, and climbing. You can follow his travels at aarongerry.com.